Few gemstones have captivated the world in the way turquoise jewelry has. Even fewer can match the flawless appeal of Sleeping Beauty Turquoise. Join us to learn the rich history behind this scarce gem. Sleeping Beauty Turquoise is such a beautiful gem; you would think it was sought out on purpose. You couldn’t be further from the truth! This variety of turquoise was discovered entirely by accident. The mine, located in Globe, Arizona, originally began operation in pursuit of copper. It wasn’t until copper miners began unearthing rough of exceptional color that gem production began. While it’s quite common to find deposits of turquoise and copper alongside one another, no one was prepared to find this stunning gemstone. Mine owners at the time immediately began shifting operations to include turquoise production. Turquoise excavation began at the mine in the 1970’s. During that era, many mines became exhausted. Of course, this did nothing to decrease demand. Jewelers of that time were searching hard for a clean turquoise, consistent in color and reliable in supply. Sleeping Beauty Turquoise entered the market at an excellent time! It was immediately popular in the gem community, thanks to its natural beauty, nearly flawless appearance, and consistent color. In particular, Italian cameo makers were big fans. It was popular to pair this gemstone with Mediterranean coral. Sleeping Beauty Turquoise: Happily Ever After? It might not be the fairy-tale ending that many were hoping for, as the production of Sleeping Beauty Turquoise ceased in 2012. It’s truly the end of an era, as this stone was the definitive turquoise for decades. As copper’s price began to climb in the world market, the current mine owners made a tough choice. Ceasing production of the gem would allow them to pursue this lucrative opportunity full tilt. With a new scarcity, the price of the stone rose exponentially. Rough from the mine used to sell for as low as $10 per carat in a wholesale atmosphere. Nowadays, if it can be found, rough can go for as much as $50 – or even higher as demand grows! 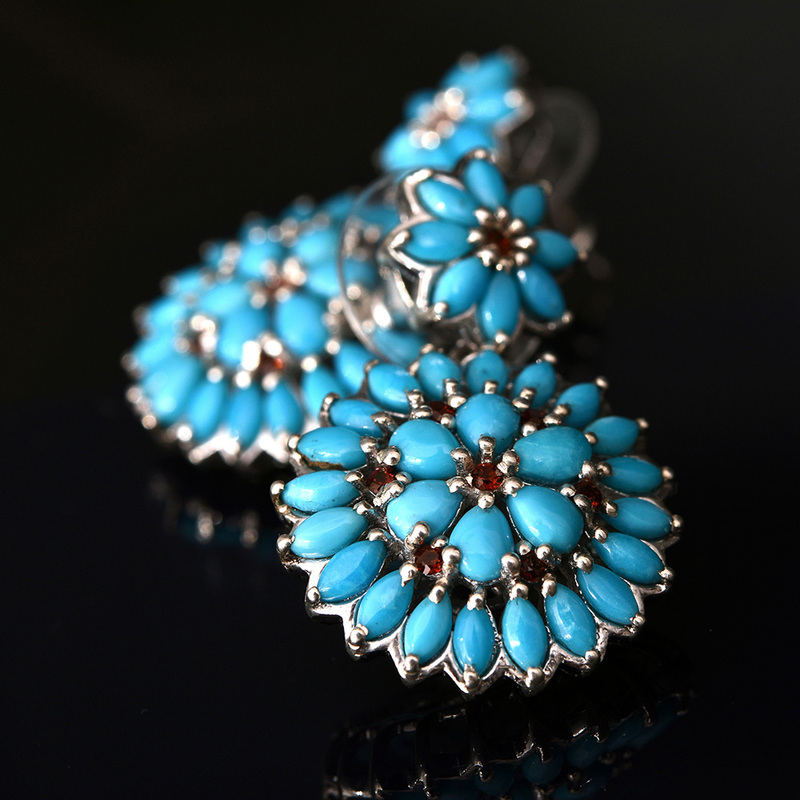 Despite increasing production on a global scale, American turquoise still commands a premium from collectors and consumers. There’s preference for natural and untreated stones, something not always immediately available from large suppliers such as China. Best-known for its consistent blue color and limited veining. Ranks 5 to 6 on the Mohs scale. Originates from the Sleeping Beauty Mine of Globe, Arizona. Stabilized through the Zachery process. Our comprehensive network of dealers and suppliers allow us to continue offering this gorgeous gemstone at a generous price! 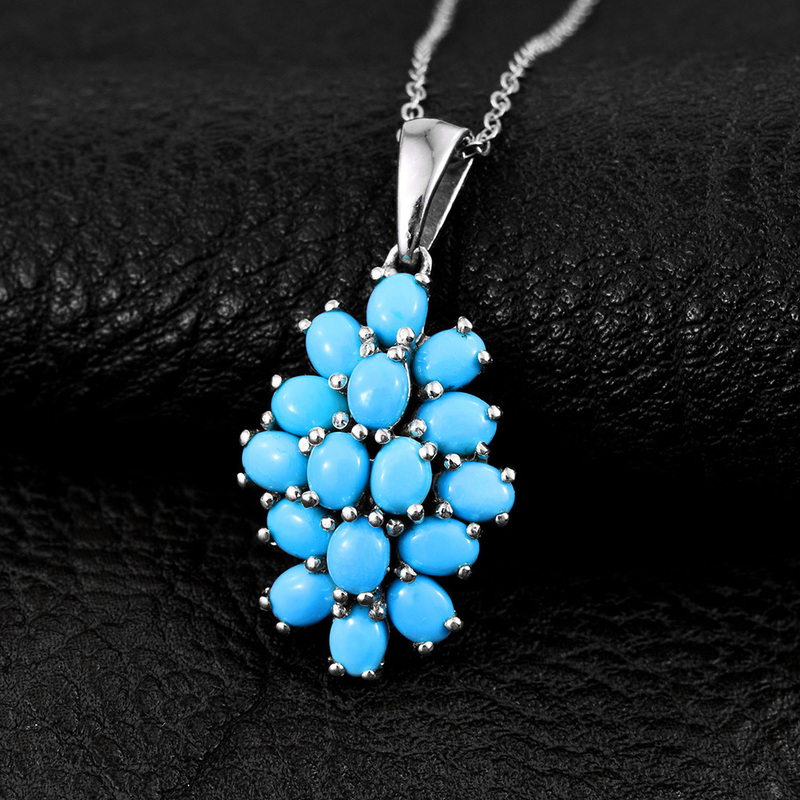 Many vendors have made their final sales of rare Sleeping Beauty turquoise. Shop LC expects that our current supply will be our last. Begin your journey now. 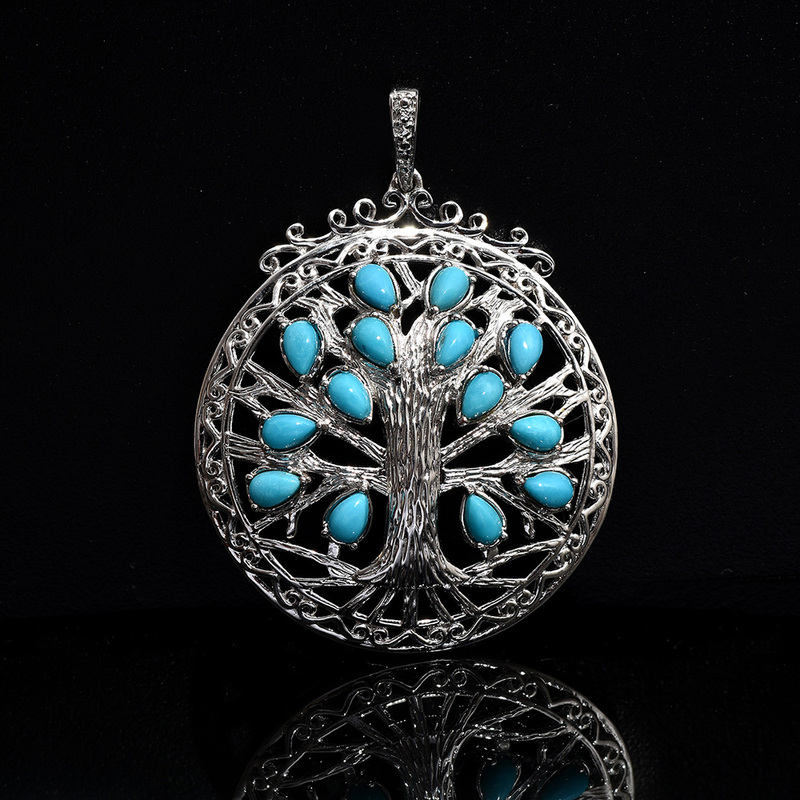 Explore the full range of Sleeping Beauty turquoise jewelry.